Thanks to one of our loyal readers, we have finally come up with a photograph of Balldev Naidu, Singapore’s terrorist who is awaiting extradition to the United States. Like the letter in Edgar Allan Poe’s The Purloined Letter, Balldev Naidu’s photograph was hidden in plain site – on his Facebook page (which has since been removed as he is in jail). Convicted Singapore terrorist Balldev Naidu’s Facebook page not only shows us what is said to be his photograph, but gives us a list of his Facebook friends and fellow travelers. First and foremost among Balldev Naidu’s Facebook friends are Philip and Kenneth Jeyaretnam. Philip Jeyaretnam has just been appointed to a high post in the unsuspecting government of Singapore. His brother, Kenneth Jeyaretnam is the head of Singapore’s Reform Party, of which Balldev Naidu is a co-founder. Shortly after it was announced that Balldev Naidu was to be extradited to the United States on six counts terrorism charges, Kenneth Jeyaretnam has come out with a strong statement supporting Balldev Naidu. The Jeyaretnam brothers and Balldev Naidu from a tight, but maybe not so little, group. Facebook provides an excellent mode of secret communication. Unlike an email, which is easily traceable, a Facebook message to a “friend,” or to a terrorist, is hidden and nearly impossible to find. 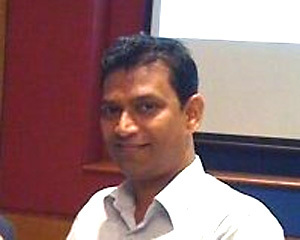 In this way, Kenneth Jeyaretman can have secret communications with his Facebook friend, Balldev Naidu, without leaving a trace of it in his, Jeyaretnam’s computer, or in the computer of alleged terrorist, Balldev Naidu. Facebook is of great value to terrorists due to the fact that its messages do not reside in the computer of the sender or of the recipient. Currently, Balldev Naidu has 51 Facebook friends. We expect that, after this post is published, that number will diminish. Below, are photographs of most of Balldev Naidu’s friends, taken from his Facebook page. Remember, it takes two to tango, and you have to give permission to someone who wants to claim you as his Facebook friend. So, without further comment – here, taken directly from Balldev Naidu’s Facebook page, are the are the Facebook friends of soon to be extradited alleged terrorist, Balldev Naidu. waw, so many terrorists in Singapore. Good that there are such responsible people doing the necessary work to expose them. Thank you so much, John, for your effort to make this world a safer place!